Deepanjalie Abeywardana heads the media research team at Verité Research in Colombo, Sri Lanka. She has extensive experience in media ethics, media behaviour as well as media and women. She also trains journalists on media ethics and has taken part in several fellowships and programs on media studies abroad. Additionally, she has experience in conflict resolution and human rights through her studies at University of Oslo, Norway and the University of Fribourg, Switzerland. 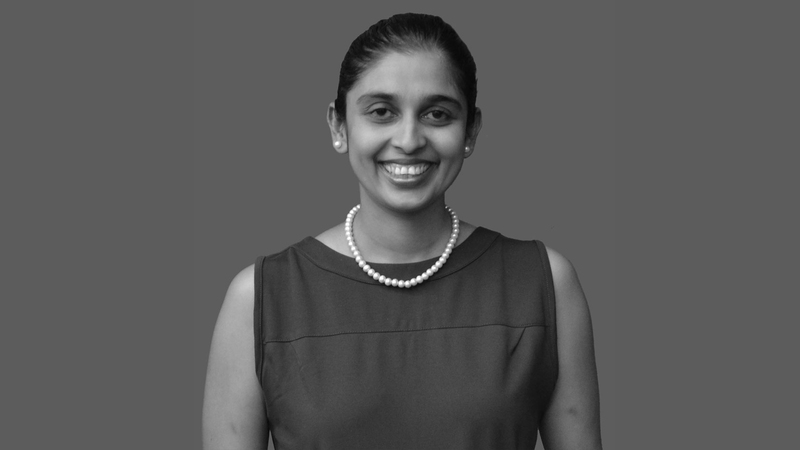 Deepanjalie received a BA in International Relations from the University of Colombo and a MA in South Asian Studies from Pondicherry University, India where she was selected as one of the first two Sri Lankans to undertake the MA on a Madanjeet Singh Scholarship. Deepanjalie has worked with a wide range of local and international stakeholders and media practitioners on understanding the Sri Lankan media, media ownership and media’s role in fostering reconciliation. Ali Amar, 51, is a veteran Moroccan journalist who is the co-founder and current editor in chief of the online news outlet Le Desk based in Casablanca. He earned a degree in Journalism from the City University London (MA International journalism) and an executive degree from LSE. 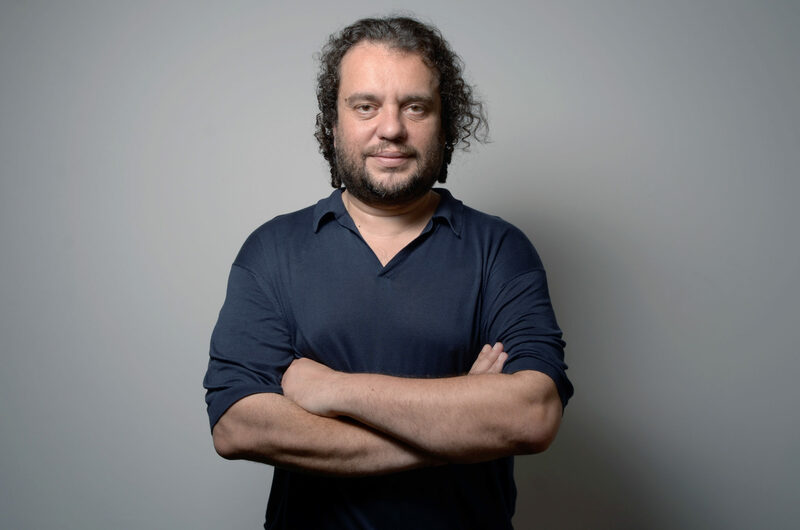 Ali Amar was the co-founder in 1997 of Le Journal Hebdo, the Moroccan iconic weekly magazine until its court-mandated shutdown in January 2010. He faced an impressive number of court cases due in large part to his investigations on the monarchy. Following the closing down of the outlet and foreclosure, Amar left the country to live in Spain, France, Slovenia and Belgium as Senior Fellow and Guest Writer of International Cities of Refuge Network, an NGO based in Norway. He returned back to Morocco in 2015 to launch Le Desk. Amar published several essays. Among them, the best-selling “Mohammed VI, the great misunderstanding” (Calmann-Lévy, 2009). He regularly publishes articles for international media, such as Mediapart in France. He also covered the Arab Spring in Morocco for The New York Times. Ali Aslan is an international presenter, journalist and television host who has worked worldwide for global news networks such as CNN, ABC News, Channel News Asia and Deutsche Welle TV. An internationally known presenter, Aslan regularly moderates at major conferences around the world and has shared the stage, among others with Angela Merkel, Emmanuel Macron, Justin Trudeau, John McCain, Sergey Lavrov, Christine Lagarde, Madeleine Albright and Bill Clinton. Aslan holds masters degrees in Journalism and International Affairs from Columbia University and has received his bachelor’s degree in International Politics from Georgetown University. Aslan is a United Nations Fellow and a member of the Körber Network Foreign Policy as well as the Global Diplomacy Lab. He has been named a Young Leader by the American Council on Germany, the BMW Foundation, the German Marshall Fund, the Bertelsmann Foundation, the Munich Security Conference and the Atlantik-Brücke. Martin Becerra is Professor at the National University of Quilmes and University of Buenos Aires (Argentina) in communications policy and media regulation. He is also member of the CONICET (Consejo Nacional de Investigaciones Científicas y Tecnológicas, Argentina). He is postgraduate Professor at several Universities in Latin America and Spain. Becerra is member of IAMCR Publication Committee. He holds a PhD and a MA. in Communication Sciences at the Autonomous University of Barcelona (Spain), where he was UNESCO Chair in Communications Sciences in 2005. Becerra is author of a number of books and articles on media policy. including: La concentración infocomunicacional en América Latina (2000-2015): nuevos medios y tecnologías, menos actores (ed. Universidad Nacional de Quilmes, 2017); De la concentración a la convergencia. Medios, políticas y redes (ed. Paidós, 2015); Cajas mágicas: el renacimiento de la TV pública en América Latina with Ángel García Castillejo, Óscar Santamaría y Luis Arroyo (Tecnos, Madrid, 2013); and Wiki Media Leaks: La relación entre medios y gobiernos de América Latina bajo el prisma de WikiLeaks, with Sebastián Lacunza (Ediciones B, Buenos Aires, 2012). He was Academic Secretary (2003-2007) and Dean of the Social Sciences Department (2008-2010) at the National University of Quilmes. Becerra has been part of numerous public debates on media regulation in Latin American countries. Member of Observacom, he is also editor of Quipu blog where he publishes frequent journalistic collaborations on topics of media and communication technologies. On Twitter is @aracalacana. Lieutenant Colonel Christian Bell was born in 1968 in small town Germany. He returned to the same address following 17 moves, including a total of 6 years in the United States and more than 25 years of practicing the “dark art” of Psychological Operations. His military career included various positions: from being a commander of the world’s one and only Loudspeaker Company to working as a PSYOPS officer for the 4th PSYOP Group (A) in Fort Bragg. 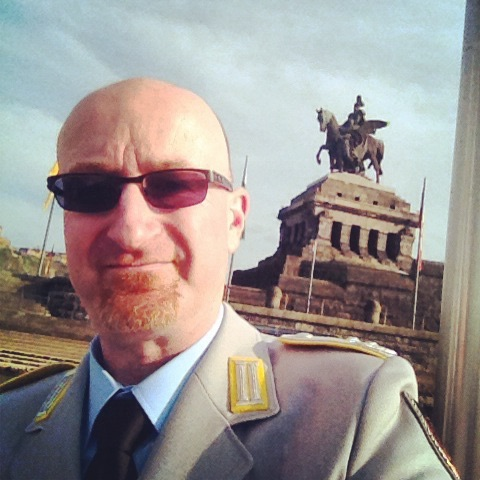 For the last ten years he has been spending his time implementing Strategic Communications within NATO, first based at NATO Supreme Allied Command Transformation in Norfolk, VA, and now from the German Bundeswehr Operational Communication Centre close to his home. Currently he builds up a new capability for creating awareness towards propaganda and disinformation. Besides that, he tries to entertain his 1500+ followers on Twitter with an inside view from the German Bundeswehr and closely follows the latest developments in Sunday evening’s police drama “Tatort” (a German thing). 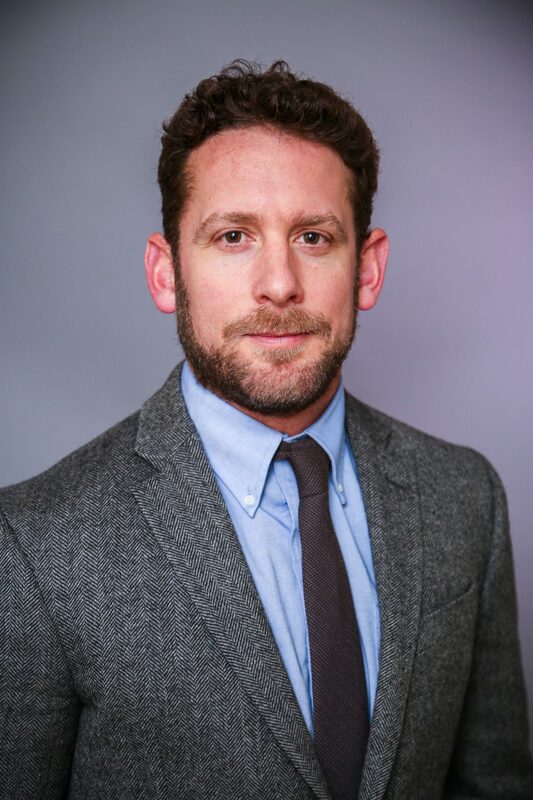 Nicholas Benequista is the Research Manager at the Center for International Media Assistance (CIMA), a think-tank housed at the National Endowment for Democracy in Washington, DC. Nicholas began his professional career as a journalist in Latin America, eventually leading Bloomberg News’ Mexico City Bureau. He later completed an Mphil in International Development at the Institute for Development Studies in Brighton, England and spent the subsequent 10 years doing a mix of research and advocacy work on issues of citizenship, transparency and accountability. In 2016, Nicholas completed his PhD in media and communications at the London School of Economics and Political Science with an action-research project that explored how Kenyan journalists contend with the challenges of ethnic and partisan divisions in their country and in their newsrooms. He joined CIMA shortly after and has worked to strengthen CIMA’s role as a global thought leader on issues of media and democracy. Cathleen Berger is currently leading Mozilla’s strategic engagement with Global Internet Fora. In this position, she is tasked with identifying emerging trends around privacy and security, digital inclusion and literacy, openness and decentralisation in order to remain aware and ahead of global tech policy developments. Prior to this, she worked within the International Cyber Policy Coordination Staff at the German Foreign Office where she was in charge of divising strategies for Internet Governance, promoting human rights and freedom online, as well as drafting policy concepts for capacity building and digital development. Cathleen was also a fellow at the Centre for Internet and Human Rights (CIHR), an associate at Stiftung Neue Verantwortung (snv) and a Global Governance Futures fellow at the Global Public Policy Institute (GPPi). 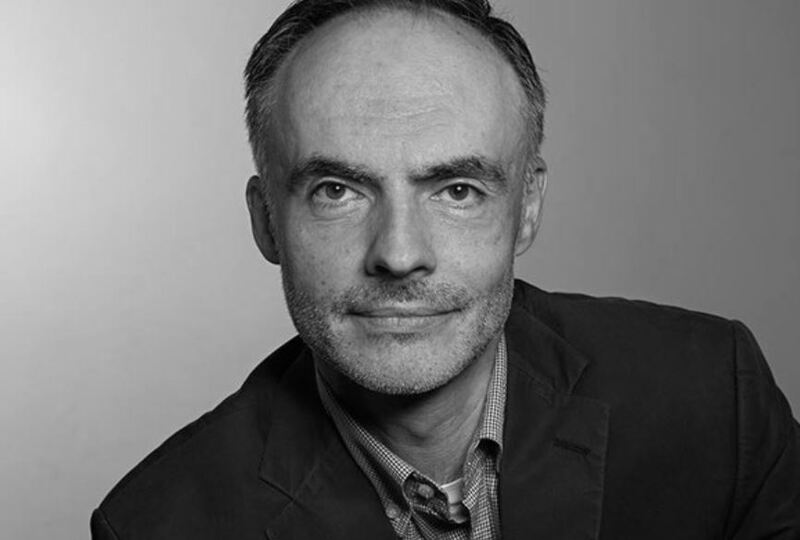 Andreas is a journalist and head of the editorial department of the international online press review euro|topics at the journalist network n-ost. euro|topics takes a daily look at the European press in 32 countries and quotes important voices in English, German, French, Russian and Turkish. Andreas works and speaks on issues like access to information, press freedom and a (digital) European public sphere. 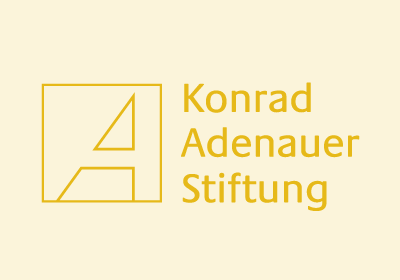 Prior to joining n-ost Andreas developed projects and events in Hungary for the German Institute for Foreign Cultural Relations. 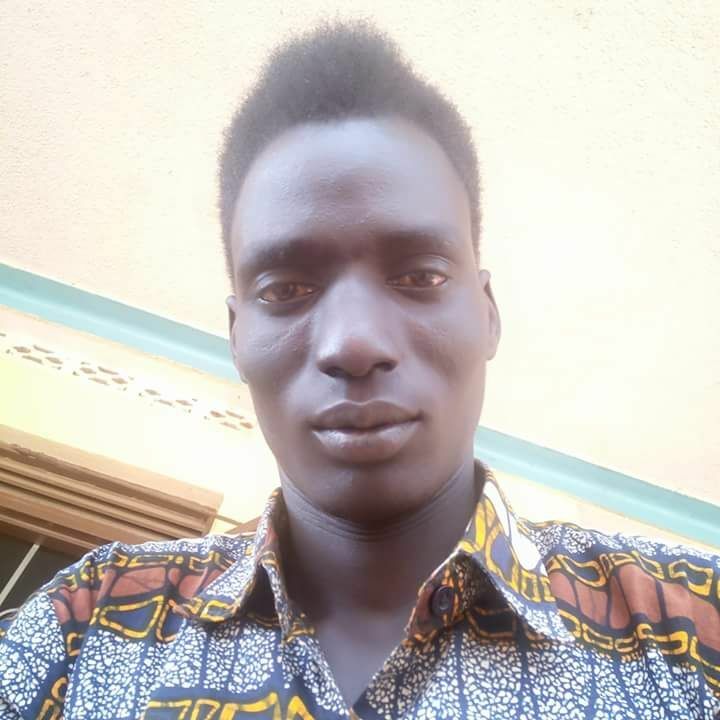 John Jal Dak is a South Sudanese refugee living in Uganda since 2013. He is Refugee Youth Ambassador to UNHCR as well as the Founder and Executive Director of Youth Social Advocacy Team (YSAT), a Refugee Youth led Community Based Organization in the Rhino Camp Refugee Settlement in Northern Uganda. He is the Ugandan coordinator of the #defyhatenow intiative to counter social media hate speech and online incitement to violence. 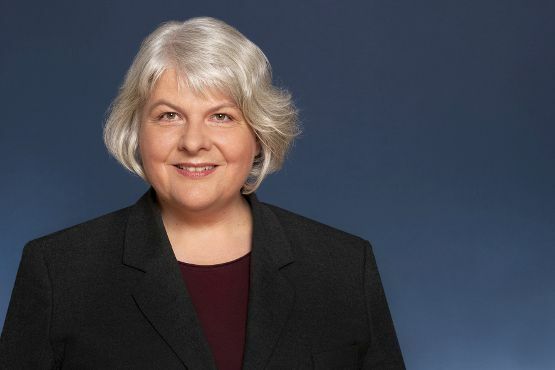 Dagmar Dehmer works since October 2017 for the German federal company for radioactive waste disposal as head of communications. Till then she worked around 25 years as a journalist – 2001 to 2017 for the Berlin based „Der Tagesspiegel“, 1993 to 2001 for the „Badische Zeitung“ in Offenburg and Freiburg. Her topics were the environment, sustainability, development and Africa. Marius Dragomir is the Director of the Center for Media, Data and Society (CMDS). Dragomir has spent the past decade in the media research field, specializing in media and communication regulation, digital media, governing structures of public service media and broadcasting, spectrum management, and ownership regulation. Dragomir started his career as a journalist some 25 years ago in his native Romania. He co-founded Mediapowermonitor.com, a community of experts in media policy. 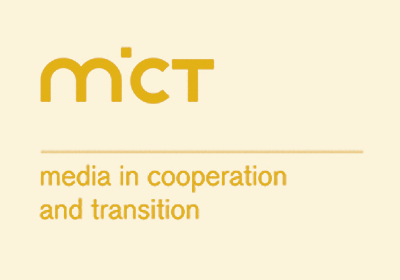 At CMDS, Dragomir launched the Media Influence Matrix Project to investigate the influence that rapid shifts in policy, sources of funding and technology companies in the public sphere are having on journalism today. Dr. Fatima el Issawi is Senior Lecturer in Journalism at the University of Essex and Senior Visiting Fellow at the Department of International Development at the London School of Economics. She has significant expertise in the media industry with a focus on Middle East and North Africa (MENA), crossing journalism, public communication, policy and academia. Since 2012, she has led externally funded research projects looking at the interplay between media and the political change in the context of the Arab uprisings. She was recently awarded a grant from the British Academy Sustainable Development Programme for the project ‘Media and Transitions to Democracy: Journalistic Practices in Communicating Conflicts: The Arab Spring’. 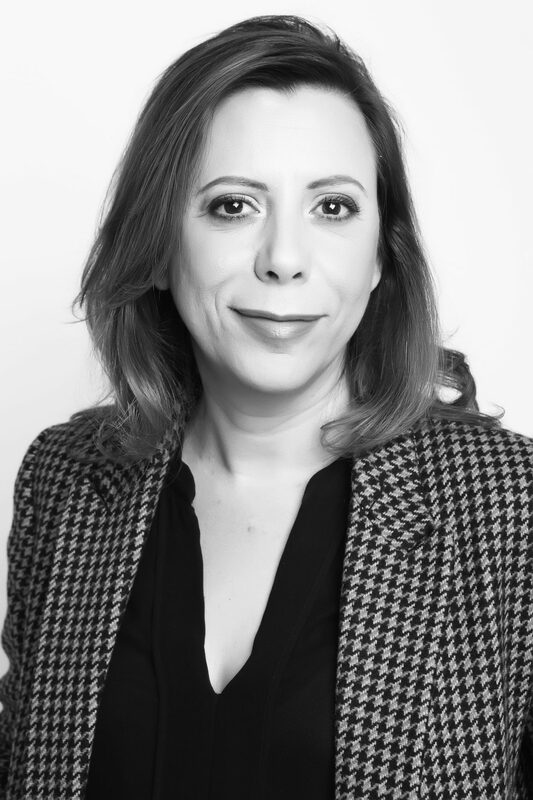 Between 2014 and 2017, she led the project ‘Arab National Media and Politics: Democracy Revisited,’ looking at the intricate links between media and political reforms in Morocco and Algeria, funded by the Middle East Centre (LSE). From 2012 to 2014, she led the project “Arab Revolutions: Media Revolutions” funded by the Open Society Foundation and based at the LSE Media and Communications looking at media transformation post uprisings in Egypt, Libya and Tunisia. 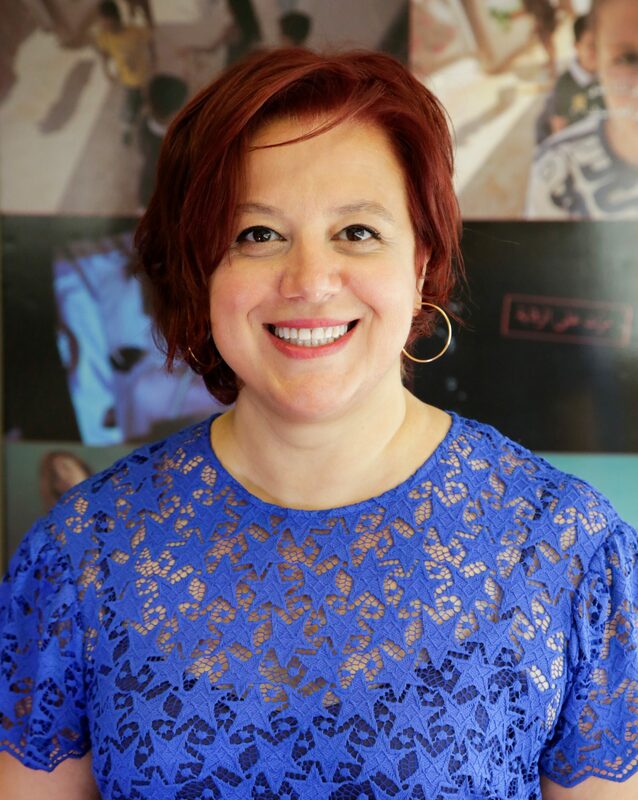 Fatemah Farag is the Founder and Director of Welad Elbalad Media LTD, a company dedicated to community media development and media excellence in Egypt. She is also the MENA Director for WAN IFRA’s Women in News Program, a World Editors Forum (WEF) Board Member and a Neiman Fellow. Before establishing Welad Elbalad Media Services, Fatemah was the founding chief editor of the English Edition of Al Masry Al Youm. Before 2009, she divided her professional time between the newsroom and journalism training and education. She was Assistant Chief Editor, responsible for the features and life-style sections and senior staff reporter at Al-Ahram Weekly. 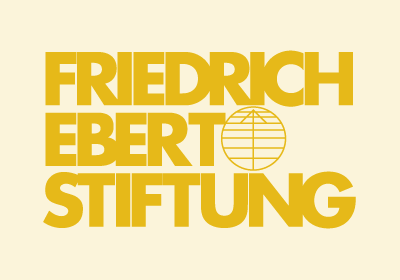 Christopher Forst is Media Coordinator of the Division for International Cooperation of Friedrich Ebert Foundation in Berlin and the main organiser of the 2018 FoME Symposium. He is also the responsible desk officer for fesmedia africa, the African media project of FES based in Windhoek, Namibia. For the Africa Department of FES, Christopher coordinates the foundation’s offices in Namibia, Tanzania and Rwanda as well as the work of the Economic Policy Competence Centre (EPCC) in Ghana. Before taking over his current position, he worked for FES Ghana in Accra. He holds a Master of Arts in Social Sciences (EU-Russia Studies) from the University of Tartu in Estonia and a Bachelor of Arts in Regional Studies East and Central Europe from the University of Cologne. 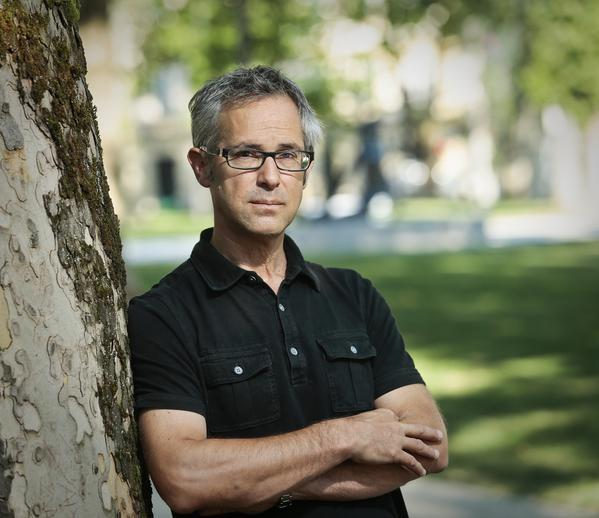 Des Freedman is Professor of Media and Communications at Goldsmiths, University of London. 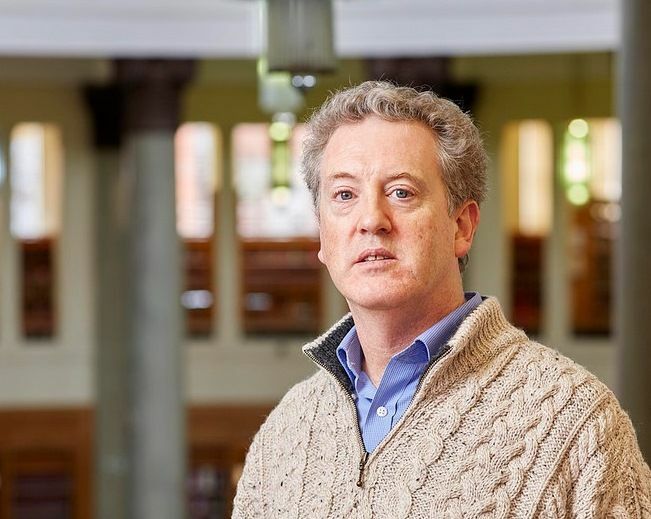 He is the author of The Contradictions of Media Power (Bloomsbury 2014) and The Politics of Media Policy (Polity 2008) and co-author (with James Curran and Natalie Fenton) of Misunderstanding the Internet (2nd edn, Routledge 2016). He is co-editor of many volumes including After Charlie Hebdo: Terror, Racism and Free Speech (2017), Liberalism in Neoliberal Times (2017), Strategies for Media Reform: International Perspectives (2016), Media and Terrorism (2012) and The Assault on Universities (2011). He is a founder and former Chair of the Media Reform Coalition that campaigns for media accountability and democracy in the UK. He was project lead for the 2016 Inquiry into the Future Of Public Service Television chaired by the filmmaker and Labour peer, David Puttnam, and has provided evidence to many parliamentary inquiries and committees. He is a former editor of the journal Global Media and Communication and is the vice president of the Goldsmiths branch of the University and College Union. Aida Kaisy is a Media Reform Advisor and has worked extensively on media development projects across the MENA region including in Iraq, Palestine and Tunisia. She is currently working on a number of projects, focusing on issues related to youth engagement in media, media in conflict, social cohesion and the media and the development of independent media platforms in MENA amongst other things. She is completing a PhD at the School of Oriental and African Studies, University of London, where she also teaches on a part-time basis, on the performance of the media in conflict, using Iraq as a case study. 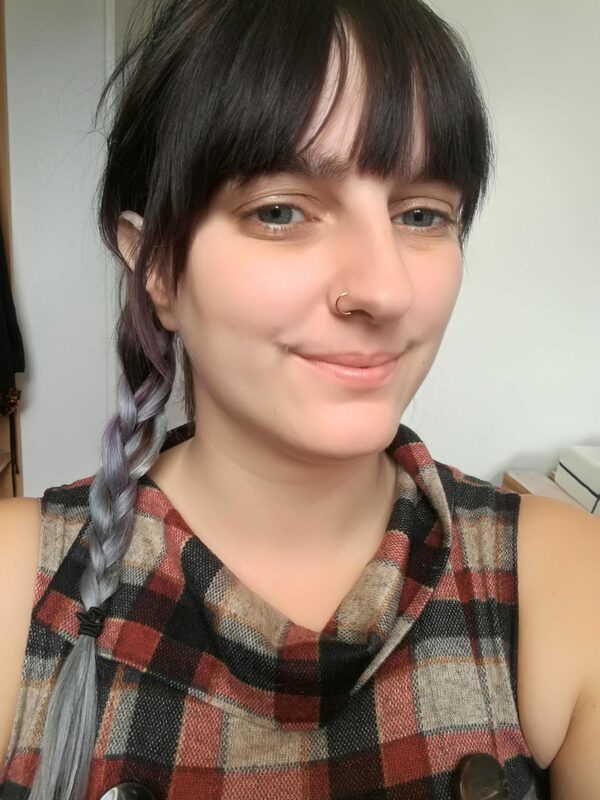 She is currently working on a research project for the LSE Conflict Research Programme the aim of which is to help explore positive examples of civic action and content in the public sphere. 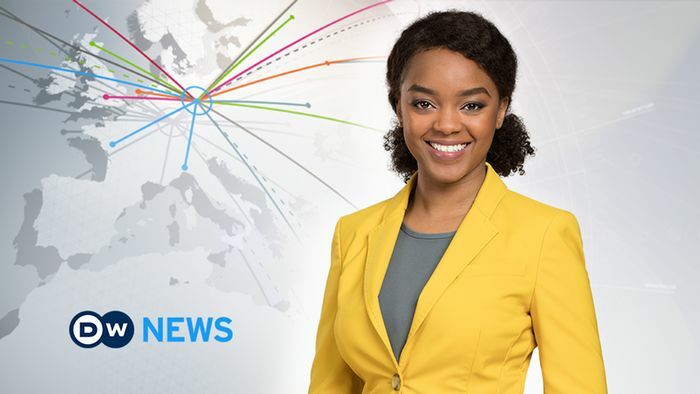 At the beginning of 2017, Edith Kimani left for Germany to start a new life and career in Berlin as a DW News anchor. She was leaving behind many fans in Kenya but she was bringing along seven years of experience as a reporter and anchor with one of Kenya’s largest broadcasters, KTN. In 2009, Edith began her career after winning a KTN reality show contest seeking out Kenya’s most talented young news anchor. She then hosted her own show, On the Record, and earned a name for herself as one of Kenya’s top young journalists. With a passion for environmental issues, she moderated the DW debate at the World Economic Forum for Africa on renewable energy. Before coming to Germany, she was DW’s East Africa correspondent and host of DW’s Eco@Africa. 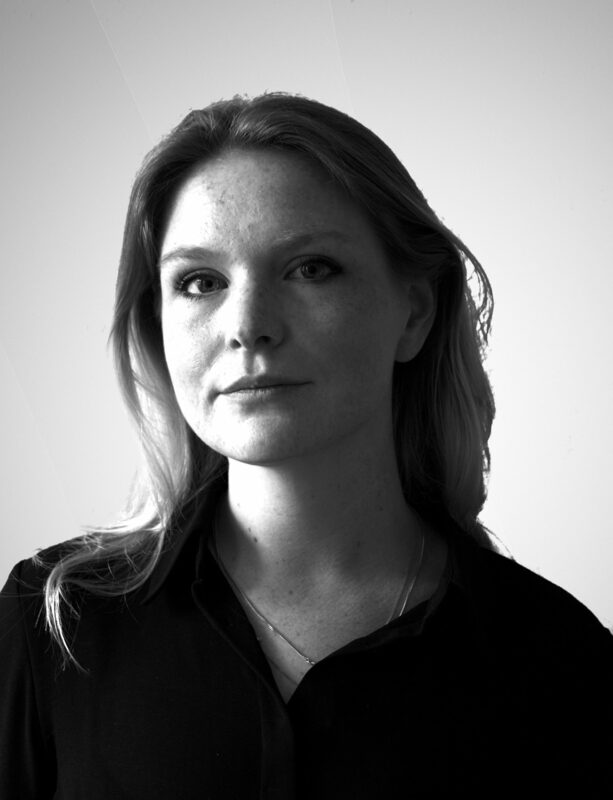 Lisa-Maria Kretschmer works as Head of Research for Reporters Without Borders Germany (RSF), and in that position has implemented and supervised media transparency projects worldwide. Prior to RSF, she has worked in the field of human rights and resilience as well as on the role of media in conflict transformation, amongst others for the German Development Agency (giz), a Member of the German Parliament, and at the Ludwig-Maximilians-University of Munich. She studied Political Communication, Journalism and Economics in Germany, The Netherlands, Denmark and Israel. 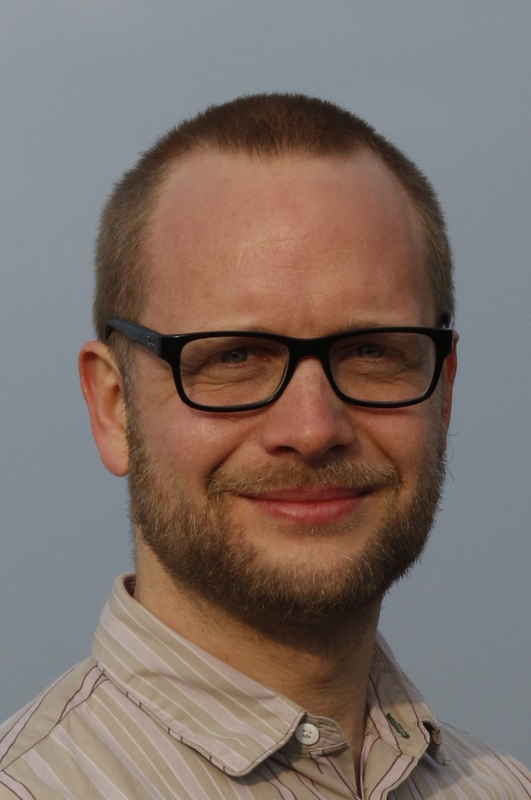 Sebastian Lasinger is a media activist and development worker. Within the Civil Peace Service (CPS) programme he is currently supporting the Community Media Network Sierra Leone (COMNET SL) in its struggle against land grabbing in Sierra Leone. 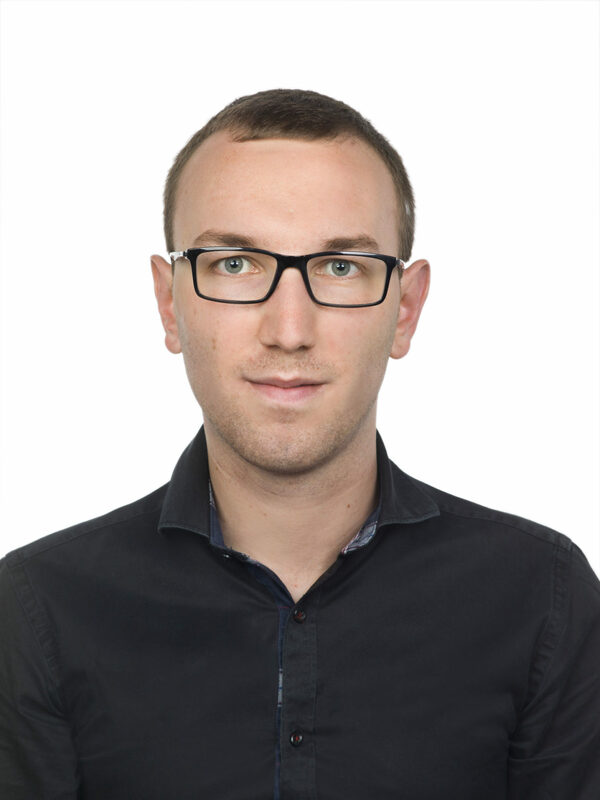 He previously worked in Afghanistan for the Deutsche Gesellschaft für Internationale Zusammenarbeit (GIZ), promoting journalistic networks for conflict sensitive reporting and election monitoring. Before that, he was a program manager and editor at the Austrian community radio station, Radio FRO 105.0. During this time, he also spent a year in Colombia, doing research on the impact of media campaigns on the Colombian peace process. Sebastian Lasinger is a graduate of the Johannes Kepler University Linz and the London School of Economics and Political Science. 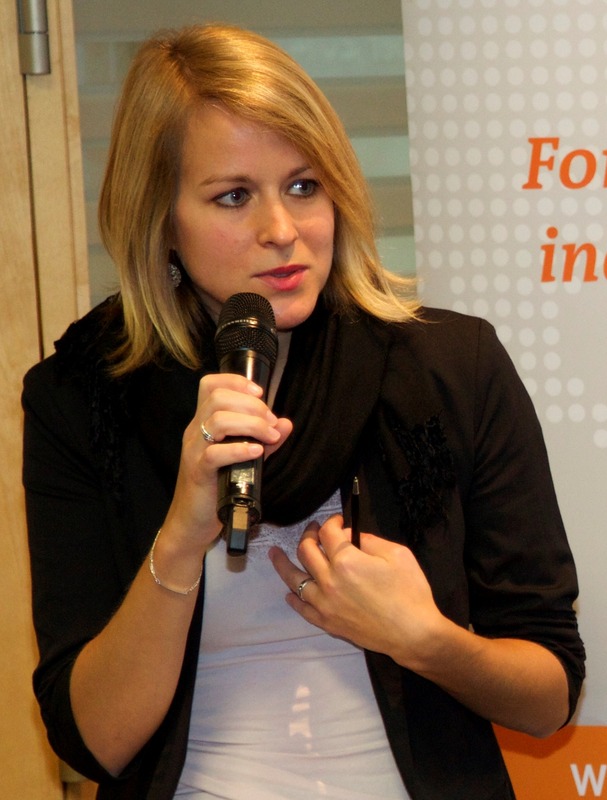 Judith Liesenfeld works as a project manager in the Strategy & Consulting department of DW Akademie. Previously, she spent several years working in India and Sri Lanka in development cooperation. She holds a Masters Degree (MSc) in Conflict Resolution and Governance from the University of Amsterdam. 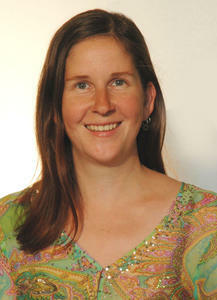 Amber Macintyre is a researcher at Tactical Tech currently working on the data and elections project. The project examines how personal data is being used by political parties across the world. She is also carrying out research for her PhD at Royal Holloway, University of London, on the use of personal data by charities and NGOs. She previously worked at Amnesty International in London delivering capacity building on digital communications. She then went on to study a Masters in International Law at UN mandated University of Peace, Costa Rica, where she focused on international courts and technology. Christian Mihr is a journalist, international media policy expert and human rights professional. 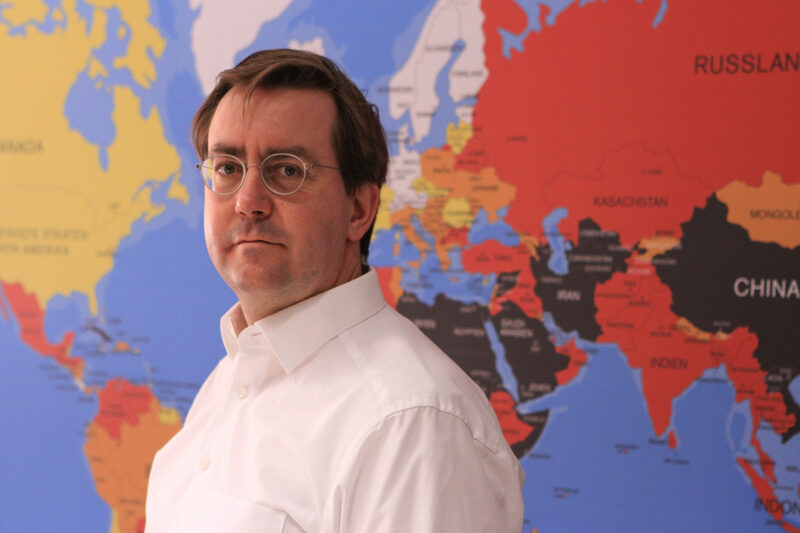 He has been the Executive Director of Reporters Without Borders Germany (RSF) since 2012. At RSF Germany, he’s especially dealing with questions of cyber-censorship, online-safety and press freedom in the digital age. Regionally he’s especially interested in Colombia, Ecuador, Chile, Belarus and Russia. He is a member of the Board of Trustees of the German Institute for Human Rights in Berlin and a board member of Access Info Europe in Berlin. 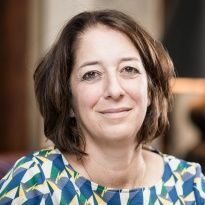 Roula is the Executive Director of Maharat Foundation, which operates Maharat News, an independent, online, multimedia platform whose model of in-depth journalism on key issues of government accountability amplifies policy news. 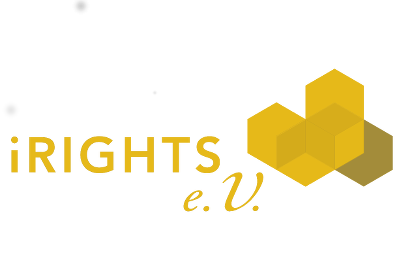 Its mission is to defend, catalyse, and advance democratic values of freedom of expression, access to information, and respect for human rights. Maharat Foundation and its news outlet are influencing the regional debate on misinformation, fostering media literacy via platforms and channels by sharing knowledge and best practices with independent media startups, and educating journalists and the public on the importance of a professional, responsible media sector. Roula is the convenor of IFEX, a global network to defend and promote freedom of expression, and is committed to her country’s longstanding tradition of free and open journalism. Mira is the Director of the Brussels-based Global Forum for Media Development (GFMD) since March 2017. She was the author of the World Press Trends reports, the most authoritative global source of data in the international newspaper industry, published by WAN-IFRA. 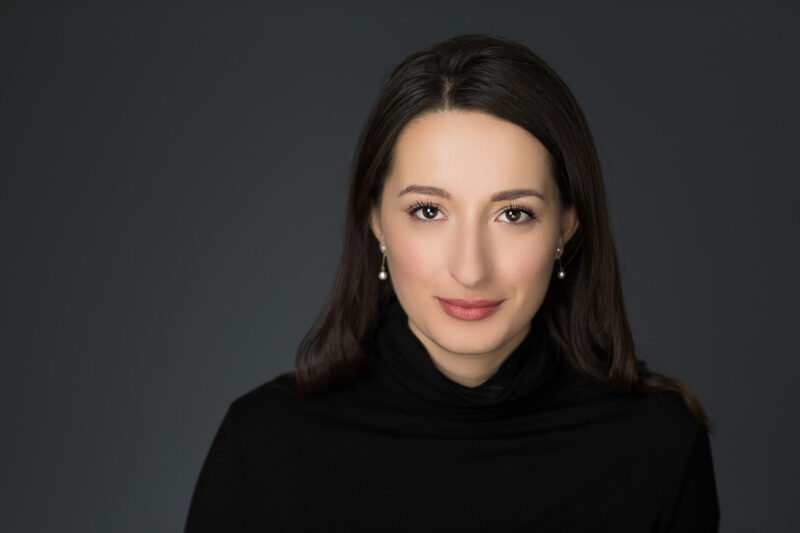 Mira managed Media Development Programmes at WAN-IFRA (World Association of Newspapers and News Publishers), has served as Chief Platform Officer at Indie Voices and as a Director of the Belgrade based Media Center. She holds a Master’s degree in Communications from Westminster University in London and is researching and writing about journalism sustainability and media economics. 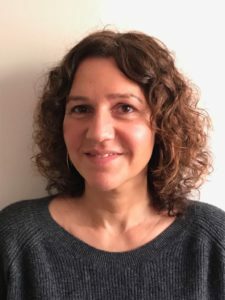 Lisa-Maria is a DPhil candidate at the Oxford Internet Institute and a researcher with the Computational Propaganda project, where her work is located at the nexus of political communication, technology studies, and governance. 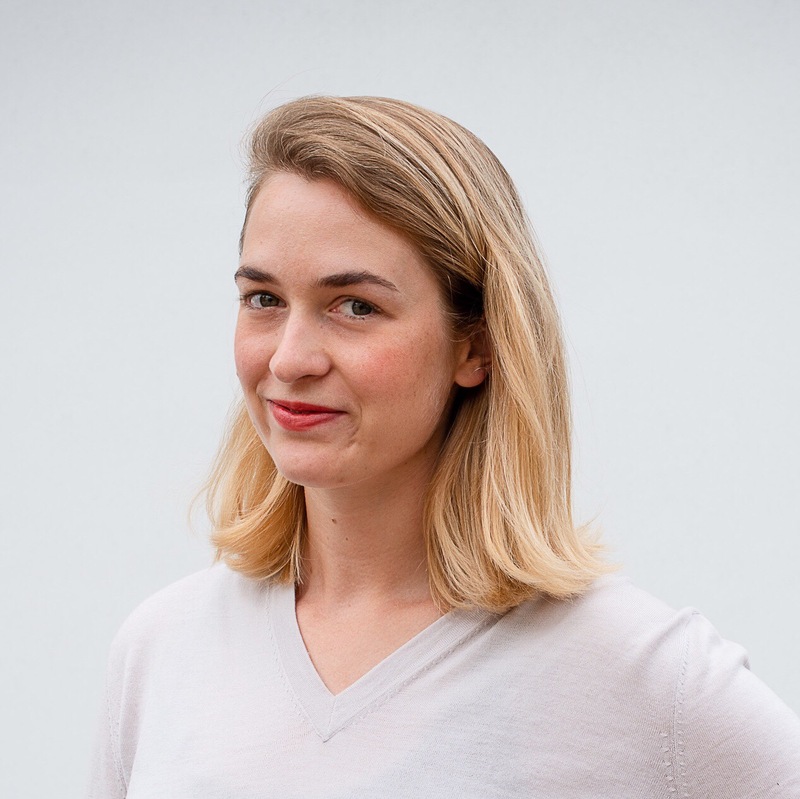 Lisa-Maria holds an MSc in Social Science of the Internet from the University of Oxford, and a BA in Communication Science from the Ludwig-Maximilians-University in Munich. Selected as a Fulbright scholar, she previously studied at the Georgetown University in Washington DC and the National University of Singapore. Her work has been featured in the MIT Tech Review, Washington Post, The Economist and has been cited during the US Senate tech hearings. She has presented her research at the European Commission, The Council of Europe and The World Economic Forum in Davos. Lisa-Maria is on Twitter @lmneudert. Lena is a digital media professional currently working for DW Akademie in the field of freedom of expression and access to information. 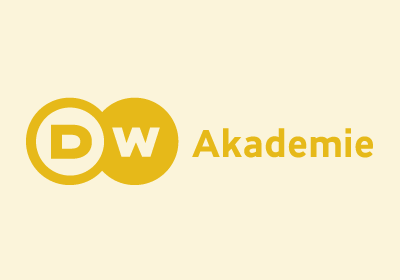 At DW Akademie she works in the digital department specializing in the topics of digital rights, digital innovation and digital literacy. Next to her work for DW Akademie she is an active member and editor for Global Voices, an international community of writers, translators and digital activists. Lena completed her master’s degree in Digital Media and Society at Uppsala University (Sweden). 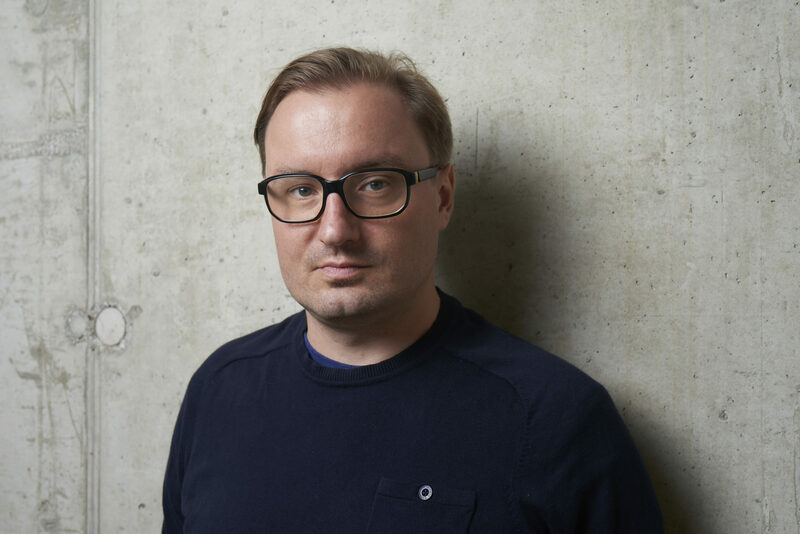 Vitomir is the co-founder of Južne vesti, Serbian online media outlet best known for its investigative journalism, as well as the co-founder of Simplicity, an online business solutions company. 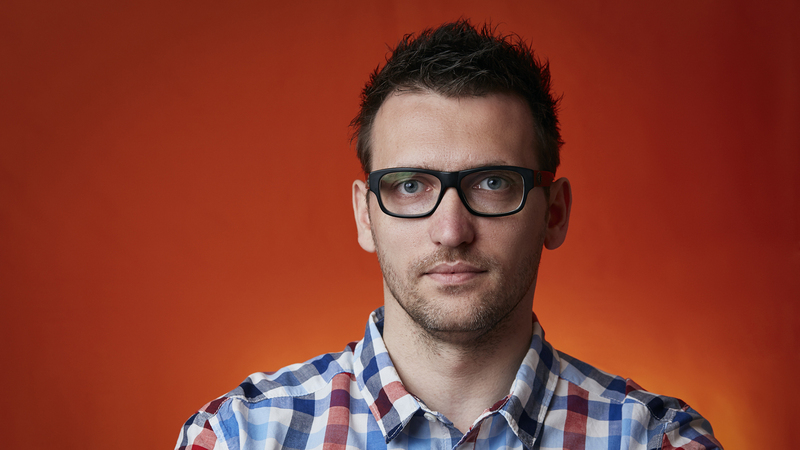 Vitomir and his team have been working with other media on the development of overall sustainable business models in “hostile” environment, drawing on their experience within Južne vesti and Simplicity. Together with his team, Vitomir successfully cooperates with more than 50 media, local and international organizations and institutions. Južne vesti and Simplicity have been recognized as a valuable regional partner by BBC, IREX, OSCE, USAID, FCO, SIDA, BIRN and several other institutions. Verah Okeyo is a global health reporter from East Africa’s Daily Nation newspaper, published by the media conglomerate Nation Media Group. While she reports generally on health, her journalism leans more towards reproductive, maternal and child health, health systems in the developing world, infectious diseases; neglected tropical diseases; agriculture and climate change.Verah holds an undergraduate degree in media technology and communication from Kenya’s Maseno University and an MSC in Global Media and Communications from the London School of Economic (LSE) in the United Kingdom. 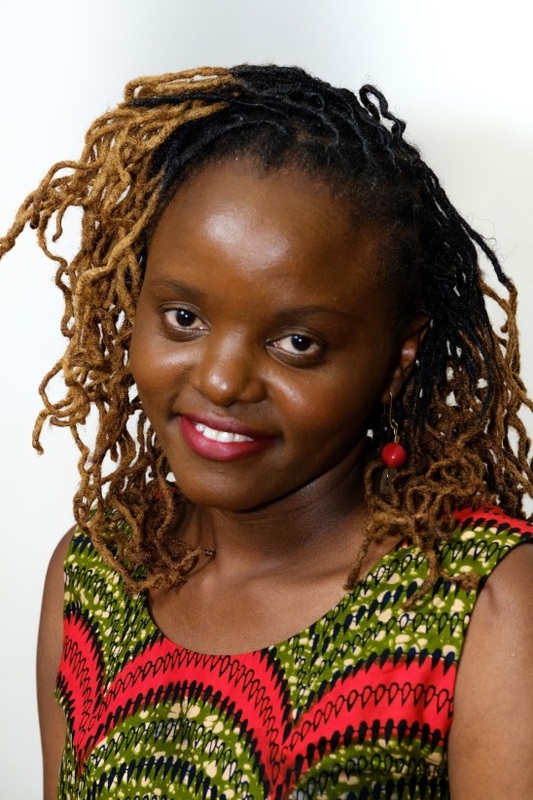 Her dissertation ‘The impact of foundation funded journalism on science reporting in Kenya’ is an indication of her research interest on the political economy of science journalism and communication and the reflection on funding influence in journalism in East Africa. 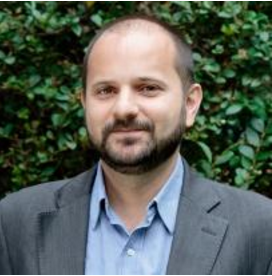 André Pasti is a researcher on communication policies and political geography of media in Latin America. He is a member of the Intervozes board of directors. Intervozes is a Brazilian organisation that works for safeguarding freedom of expression and human rights in all forms of communication. He was the head of the Media Ownership Monitor (MOM) Brazil. Currently he is a professor at the University of Campinas (Unicamp). 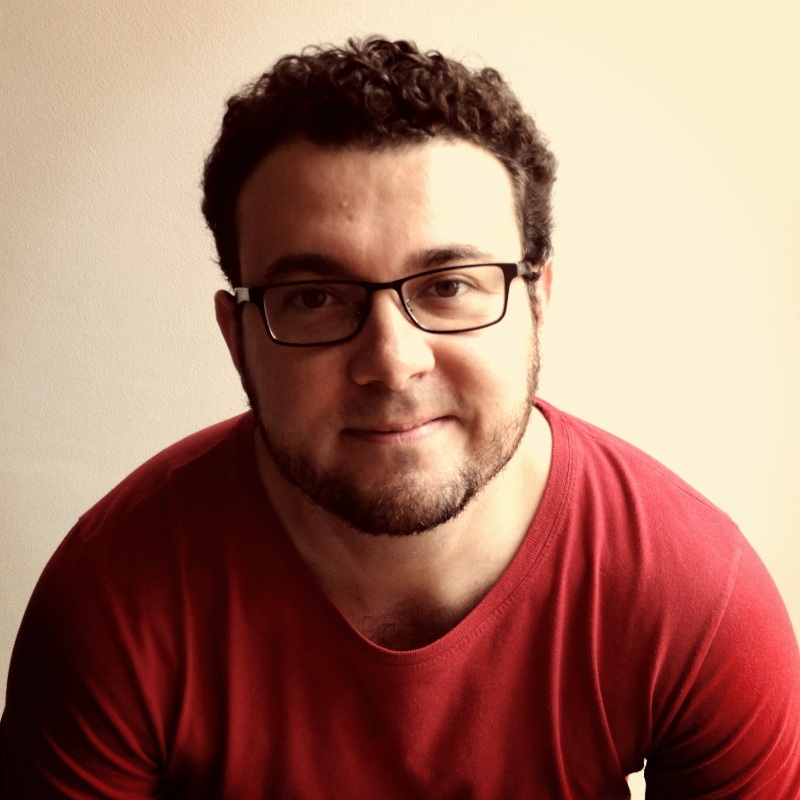 He is a PhD candidate from the University of São Paulo (USP) and holds a Master’s degree from Unicamp. 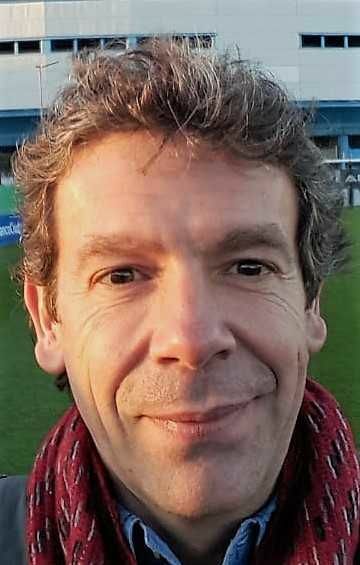 Dr Chris Paterson teaches at the University of Leeds and writes about global journalism and media and development in Africa. His UK DfID and Arts and Humanties Research Council funded project “Aid and Journalism” is examining how international development aid influences media systems in Africa and Latin America. He has written books about news agencies and about journalism safety, is the author of numerous journal articles, and has recently co-edited “Africa’s Media Image in the 21st Century: From the ‘Heart of Darkness’ to ‘Africa Rising’”. This summer he published a special issue of the journal “African Journalism Studies” devoted to the critique of media development aid in Africa. 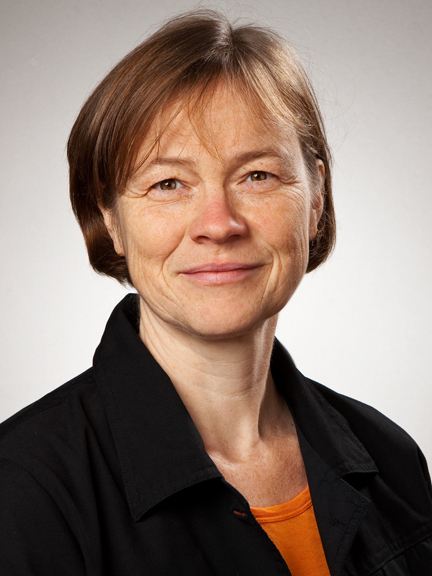 Carola Richter is professor for international communication at the department for political and social science at Freie Universität Berlin. Her research focuses on media systems and communication cultures in the non-Western countries, particular the Middle East, communication strategies of social movements and media and political transformation. She is co-founder of the Arab-European Association of Media and Communication Researchers (AREACORE) and member of the Arab-German Young Academy of Sciences and Humanities (AGAYA). Isabel Rodde is a governance and human rights adviser at Deutsche Gesellschaft für Internationale Zusammenarbeit (GIZ), focusing on digital rights and digital security, freedom of expression and access to information. 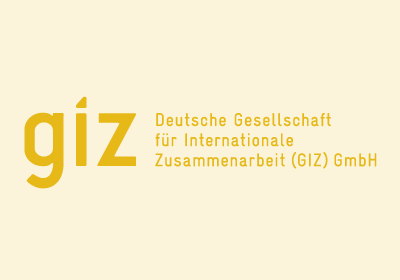 Before joining GIZ´s Human Rights Programme, she worked as a research associate at the media department of the University of Flensburg. From 2005 to 2008 and from 2011 to 2013 she worked as a journalism trainer, media adviser and researcher with the Royal University of Phnom Penh in Cambodia and the Media Council in Kenya. 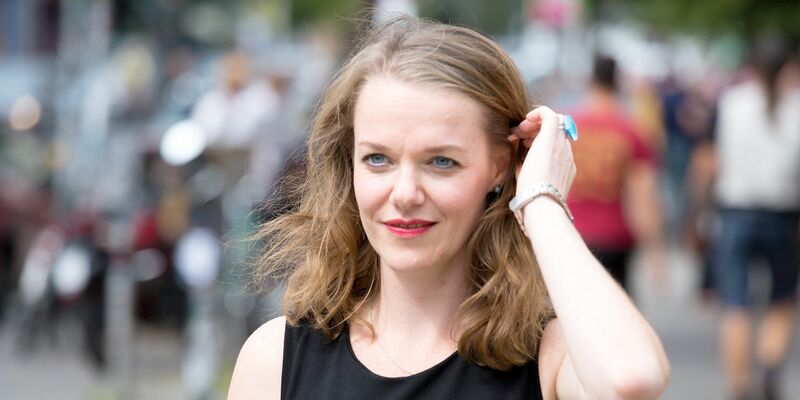 Prior to that, she worked as an online-editor and freelance journalist for Heinrich-Böll-Foundation, Frankfurter Rundschau and several German broadcasting stations. She holds an MA in Cultural and Media Sciences and is a trained journalist and video cutter. Anya Schiffrin is the director of the Technology, Media, and Communications specialization at Columbia University’s School of International and Public Affairs. 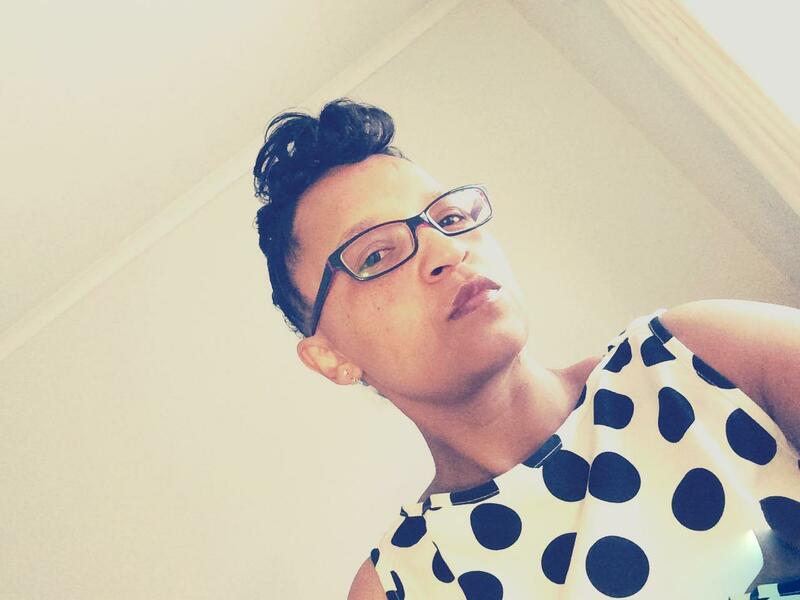 Her research includes investigative journalism in the Global South, African reporting on oil and mining, business sustainability for media startups in the Global South, and media trust and online disinformation. Schiffrin spent 10 years working overseas as a journalist in Europe and Asia and was a Knight-Bagehot Fellow at Columbia University’s Graduate School of Journalism in 1999–2000. Schiffrin is on the Global Board of the Open Society Foundations and the advistory board of the Natural Resource Governance Institute and the American Assembly. Her most recent books are African Muckraking: 75 Years of African Investigative Journalism (Jacana 2017) and Global Muckraking: 100 Years of Investigative Reporting from Around the World (New Press, 2014). 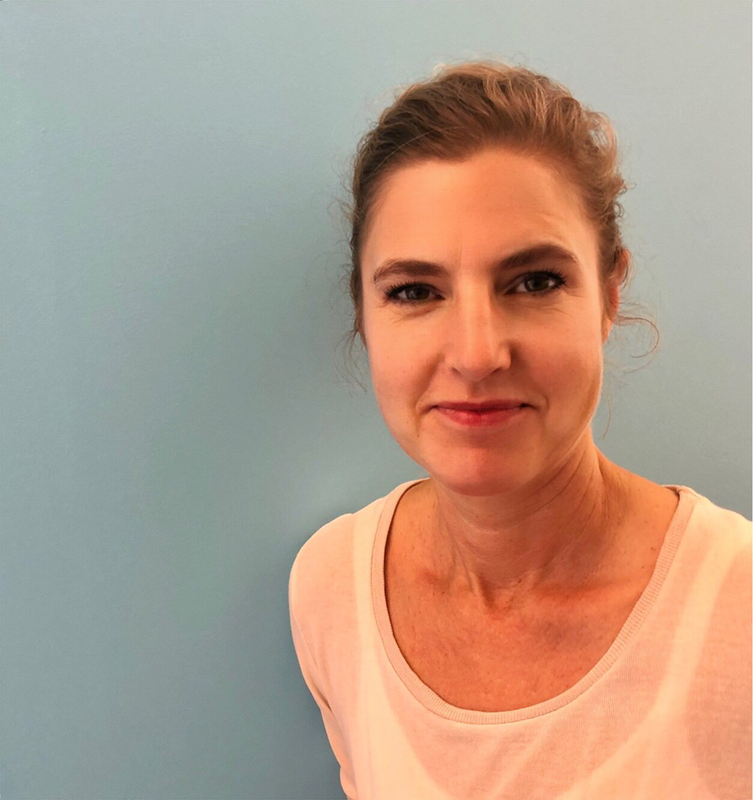 Laura Schneider’s work has focused on different aspects of media viability: Investigating the main challenges and possible solutions for media outlets particularly in Africa and Latin America, and developing indicators to measure media viability internationally. Another area of Schneider’s expertise is international media freedom measurement. In various publications she has critically analyzed the existing press freedom rankings. In her PhD thesis she developed a new index for global media freedom. Schneider has been a consultant for UNESCO, an analyst for Freedom House, and project coordinator at the International Media Center in Hamburg. She has worked as a journalist for several German media outlets such as Spiegel Online and the German press agency dpa, and was a radio and newspaper reporter in Mexico. 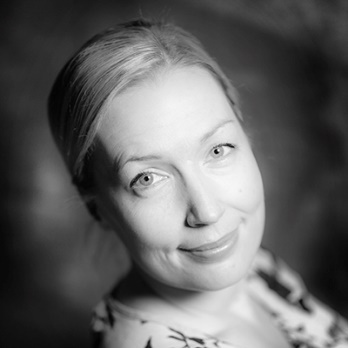 Magdalena Sodomkova is an investigative reporter, daily news editor and freelance journalist. 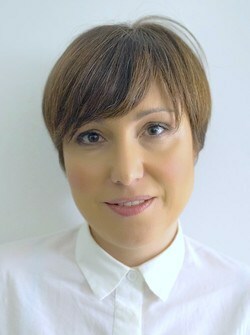 Over the last decade she has worked for several media outlets including Pátek which is run by publishing house Mafra. When media mogul Andrej Babiš bought Mafra from the Rheinische Post publishing group via his company Agrofert Magdalena was fired. She was then freelancing for three years, working on an audio documentary series about Syrian swimmer Yusra Mardini and on a true crime story podcast. She recently joined a new Czech independent outlet called DeníkN. 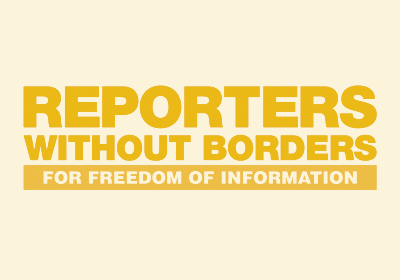 Olaf Steenfadt heads the “Media Ownership Monitor” project for Reporters Without Borders Germany. For many years, he has been involved as a consultant and coach for media pluralism, especially in development cooperation. Mandates of international organizations and NGOs lead him primarily to Southeast Europe and in the Arab world. 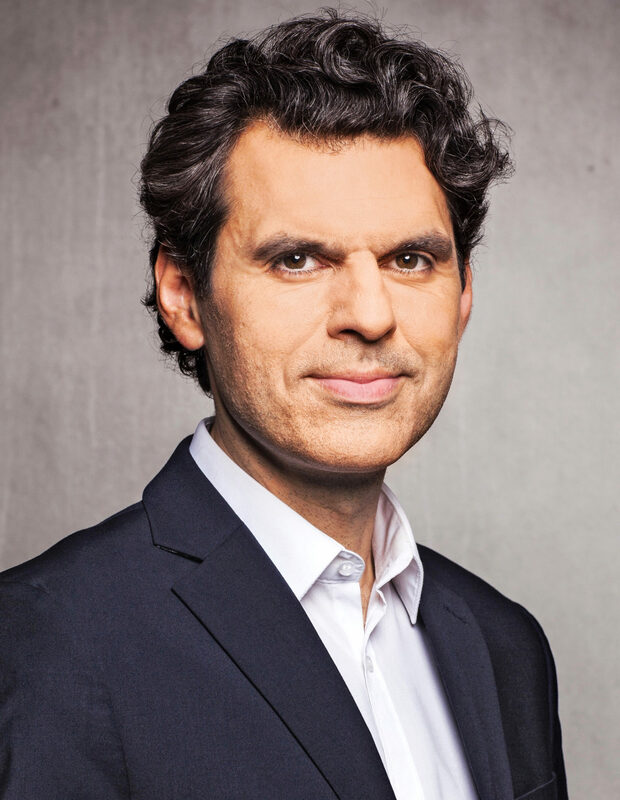 He previously worked for ARD and ZDF in various roles, including as radio and TV presenter, investigative author, domestic and foreign correspondent, as well as in format development and program marketing. He teaches media history, media policy and regulation at universities in Germany and Europe. 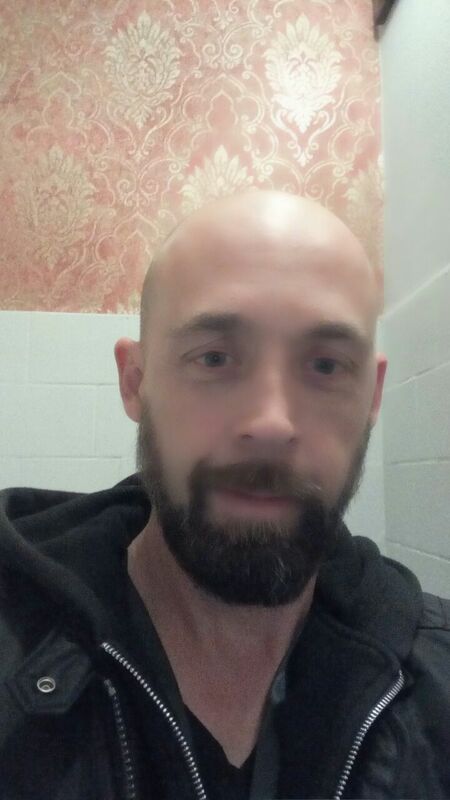 Alexander Vojvoda is community media activist and journalism trainer. He holds a MSc in Sociology and a MA in Political Communications. He is currently seconded personnel within the Ziviler Friedensdienst Programme in Cameroon. He consults the Cameroonian community radio CBS Radio 95.3 MHz and the CCMN – Cameroon Community Media Network (www.communitymedia.com) on community-based journalism, community development and conflict-sensitive journalism. 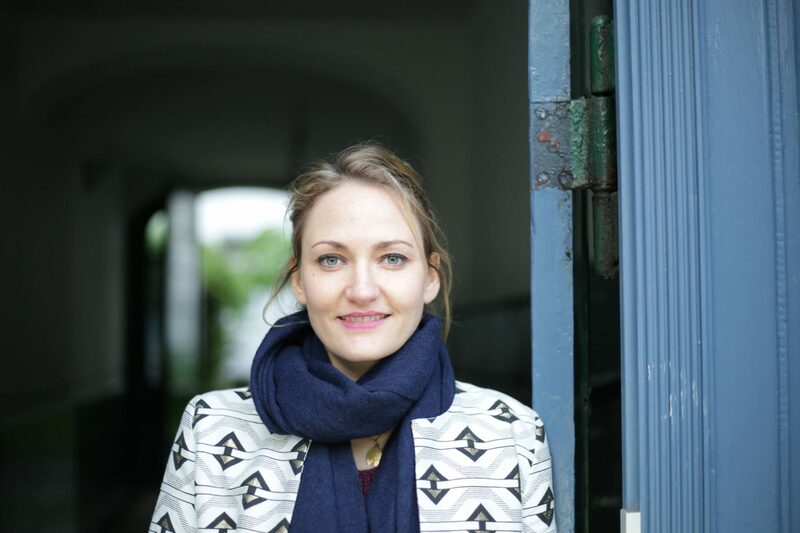 Dr. Friederike von Franqué works as freelance consultant. Her expertise concerns human rights protection, violent extremism and cybersecurity. She founded the Institute for Democracy, Media and Cultural Exchange (IDEM e.V. ), a media development organisation and served at the Board of Trustees. With a PhD in Political Sciences from the Institute for Security and Peace Research at the University of Hamburg (IFSH), she focused on external effects on democratisation processes, particularly the role of media development and media structures on democratic stability, peace and conflict. Currently, she works on Data Science for Media Development evaluation. 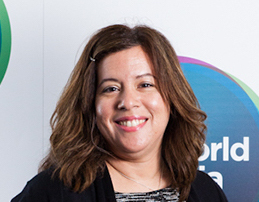 Janine Warner is the executive director and co-founder of SembraMedia, nonprofit organization dedicated to increasing the diversity of voices in Spanish by helping digital media entrepreneurs become more sustainable. Janine began her career as a reporter and editor in Northern California. In 1998, her experience on the internet, combined with her fluency in Spanish, took her to The Miami Herald, as the Online Managing Editor. A year later, she was promoted to Director of New Media. She also served as Director of Latin American Operations for CNET Networks. A pioneer in online learning, she has worked with many of the top online training companies in the US and taught MOOCs for the University of Texas. She’s been an adjunct faculty member at the University of Miami and the University of Southern California, and a guest lecturer at more than 30 universities in the U.S., Latin America, and Europe. 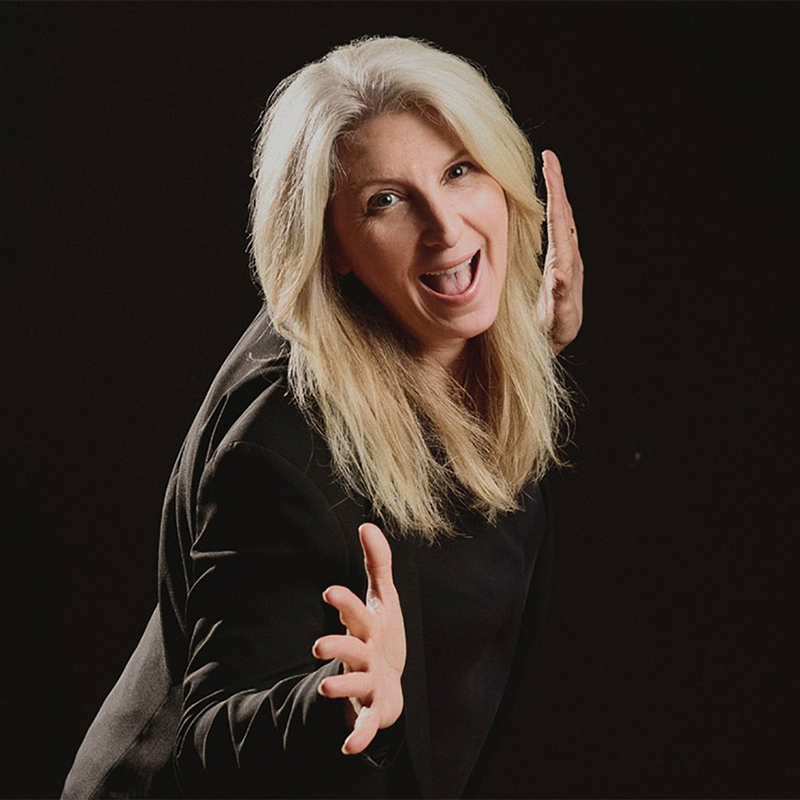 Janine is a member of the TV Academy’s Interactive Media Peer Group and has served as a judge in the Interactive Emmy Awards, the Knight News Challenge, the Arroba de Oro Internet Awards, and the WSA Mobile & Content awards. 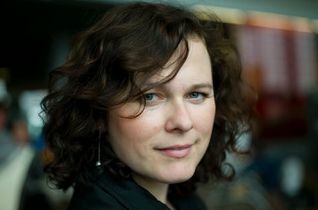 Anja Wollenberg is one of the founders of Media in Cooperation and Transition (MiCT), a media assistance organization with headquarters in Berlin. Since 2004 she has conceptualized, managed and monitored numerous media development projects mainly in the Middle East and North Africa focusing on training of journalists and supporting media outlets in their struggle with the challenges of transformation. 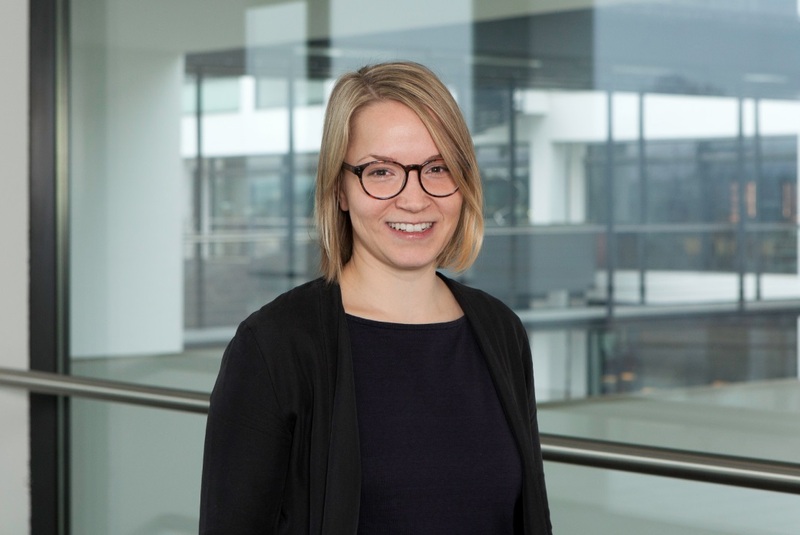 Today, Anja Wollenberg is heading the department of research and evaluation at MiCT. Her main field of research and expertise is media development in post-conflict and transitional countries; in particular, she has studied issues of media pluralism and media literacy as well as media impact on conflict development in the MENA region. 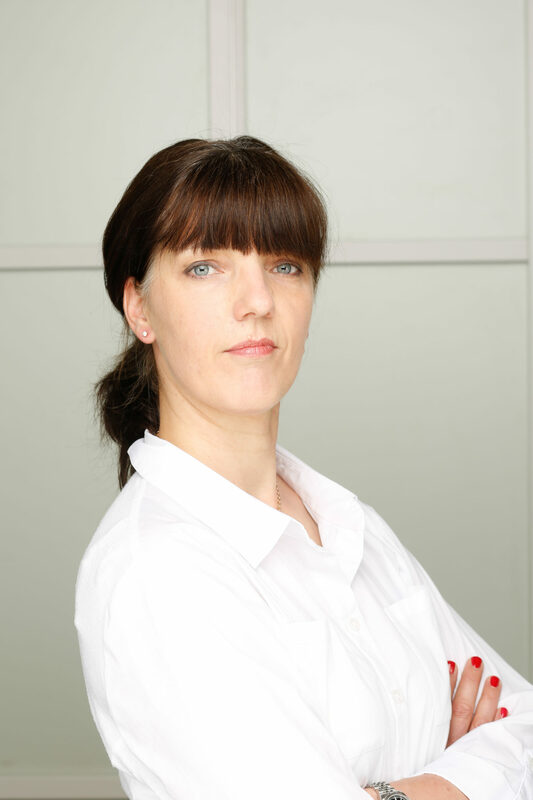 Anja Wollenberg is holding a PhD in communication science from the Erfurt University. Her PhD research was dedicated to media development in Iraq after 2003. 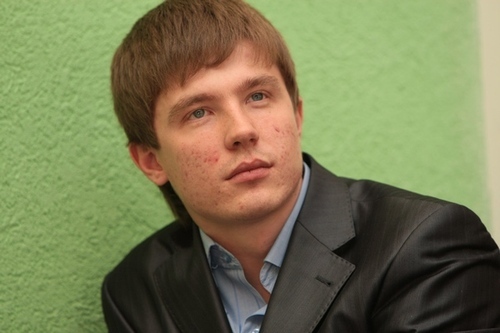 Taras is the co-founder and head of Lviv media hub “Tvoe misto” (“Your city”). 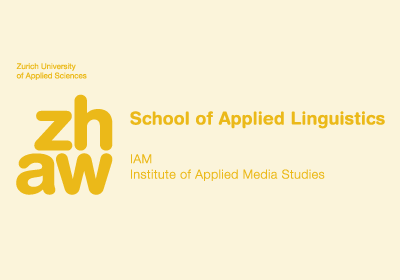 The Lviv project “3 in 1” (an Internet-platform, TV station and production company), is becoming a community-run organisation, financed by dozens of people, mainly Lviv entrepreneurs. Now, “Tvoe Misto” is the leader among Lviv media in terms of Facebook audience numbers; it also conducts offline discussions to address local problems. Taras believes that his organisation’s major successes are potentially ahead of them. Tvoe misto has a strong mission and ambitious goals and wants to change the rules of Ukrainian media: Shifting media control from the hands of politicians to that of the audience.